Today I had a fun experience. I was asked by my ward to do an activity explaining all I’ve learned about low glycemic cooking. It is something I was excited to do because I have learned so much in recent months that I have wanted to share with others. Teaching all of you on this blog is fun but it is nice to gab on with others in person also. Part of it is I wish others had shared the information with me much sooner- hopefully I can enlighten someone else much sooner than me. To help with the lesson I prepared a packet of information explaining how the cell membrane works, what insulin is, and how the glycemic index was developed. 2. I showed two cans of soup- Chicken and Stars vs. Split Pea and Ham. While both have a lot of sodium, if I want a can of soup the split pea is a much better choice with 10 grams of protein and 4 grams of fiber compared to chicken and stars with 3 and 1 respectively. I then explained that by reading labels we can make better choices. 3. I introduced them to quinoa. One of the problems I noticed as I went low glycemic is my need to have a starch with my meals. It didn’t seem enough to have a piece of chicken or steak on its own. I needed rice or potatoes or some kind of starchy side. This is something I have had to ween myself off of but I have found that brown rice and quinoa are good alternatives. Particularly quinoa because it is a complete protein. Most of the girls had never experienced quinoa so it was fun to see their reaction! 4. Finally I did some cooking! (You will have to excuse the bad photos. I still haven’t learned to take good food photos. I’d love to learn if someone wants to teach me!). 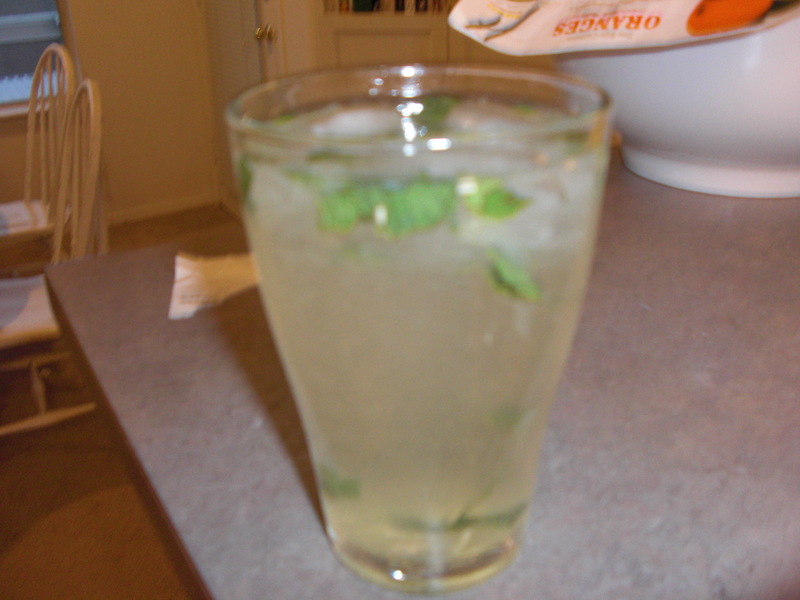 We made individual flavored lemonades with fresh squeezed juice, agave and either ginger or mint (the more flavoring you put in things the less sweetener is required). Serving with it I had ranch spinach dip made with greek yogurt. The point of this item was to show how snacking can actually be healthy (crackers and yogurt have protein, spinach is loaded with goodness). 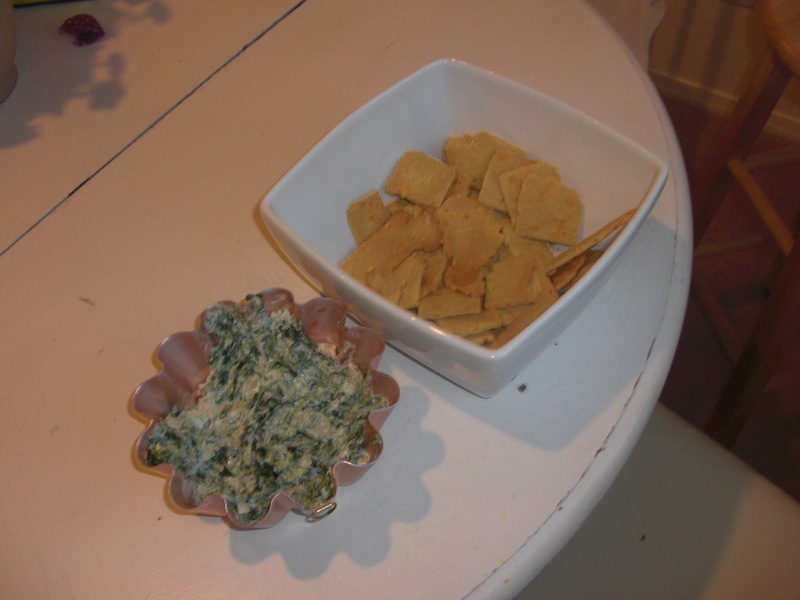 gluten free cheese crackers with spinach ranch yogurt dip. It was super good! 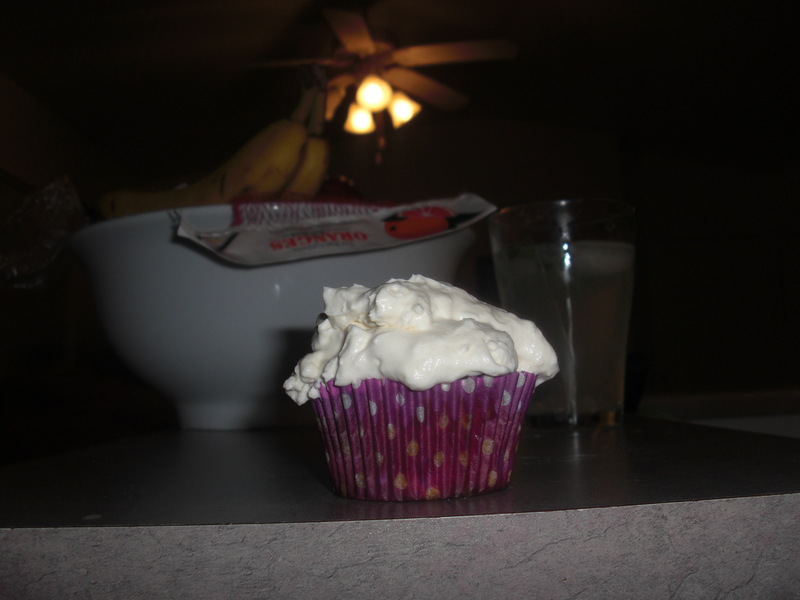 Finally for desert we had strawberry cupcakes with cream cheese frosting from Elana’s Gluten Free Cupcake Cookbook. I think these were mostly a success. They are made with coconut flour and agave for the sweetener. They were a little dry so next time I might try cooking them less and I would puree the strawberries because I find their texture when heated to be odd. Still the frosting is to die for! It is cream cheese whipped, folded into whip cream sweetened with agave. Holy cow is it good! Any treat should be eaten in moderation but it is so fun to find ways to make things healthier. If I have learned anything in the last year is that being a healthy person involves a thousand little decisions that cumulatively add up to good health. I’ve also learned to take ownership of my body. Only I know how my body reacts to certain foods or medicines and only I can feed it correctly. With the counsel of my doctor (but mostly my own research) I have learned what it means to truly feed my soul and help make me feel good. What a blessing that is, and how fun to share it with those around me. I hope that all of you have fun trying these recipes and enjoy looking at the handouts (if you are close by I can give you one- I have extras). If you want to learn more call me- I love talking about this stuff! I would also love to cook with any of you as I am dying to try out more recipes (particularly from Elana’s cookbooks and blog. They are such good recipes).